Holland, Michigan - along the banks of Lake Michigan, an idyllic summertime getaway where cool, lake breezes make you forget about the hot city (only 2.5 hours from Chicago), and the corn filled prairie (because outside Chicago-land, it's just that - corn and bean fields). 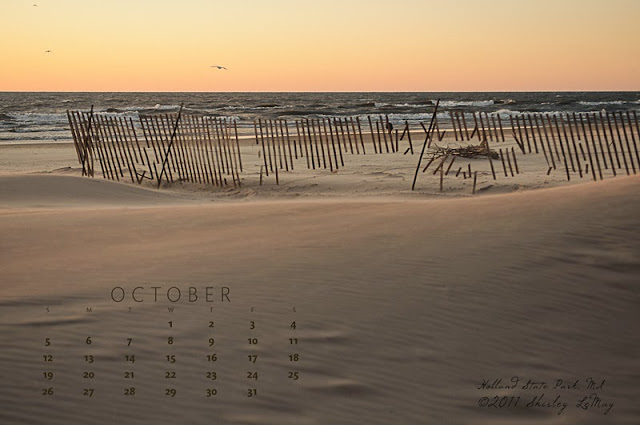 The images for this month's Free desktop calendar were taken in Holland, yes, in October. Even in October, Holland is a great weekend getaway. My friend, Anne, was so gracious to host a group of us at her family's lakeside property. We had to visit Holland State Park on our last evening to watch the sunset along the beach. There's something about being at the beach during off season - it's still beautiful, but melancholy at the same time, longing for warmer climes. 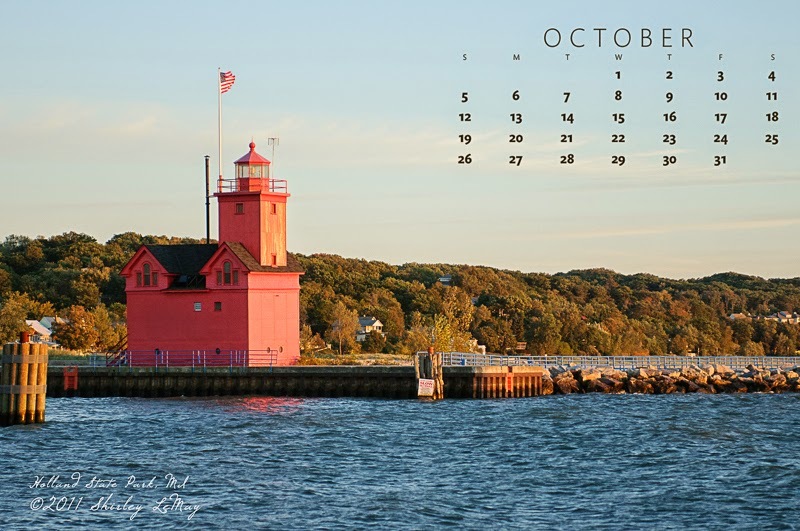 The Big Red Lighthouse, one of Michigan's most photogenic structures, anchors the pier at the park.